I made a promise to myself this year. I won't call it a resolution, because that will render it destined for failure, but I promised myself that I would no longer accept bad service. Until recently, Great Britain represented all that was correct and well mannered about human beings. Our expertise in etiquette and proficiency in politeness were the envy of the world. It was all about the customer who, until recently, was 'always right'. It was about care and thought and making people feel valued. Walking into a shop guaranteed you a friendly smile, a polite welcome, all the makings of an enjoyable shopping experience. Then, it happened. Slowly, but surely, austerity crept into the marketplace. Shavings were made throughout the retail industry and it showed. Shops lost staff, the remaining staff began working harder, longer hours. Carrier bags became a luxury item, standards began slipping in cleanliness and presentation. 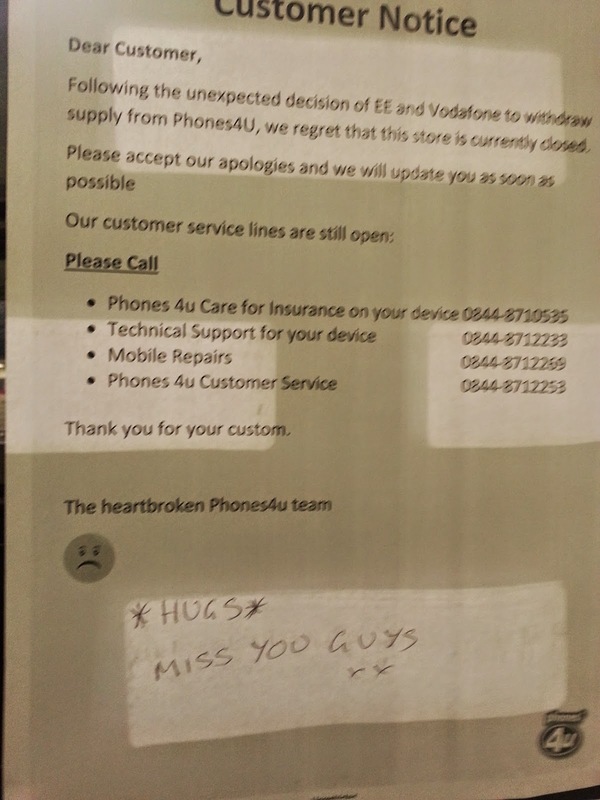 Businesses that didn't make the cuts risked falling into the abyss of bankruptcy, alongside the the likes of Phones4U and Comet and nobody wants that. The upshot of all this, in my opinion, has been a downturn in customer service. It just doesn't seem a priority anymore. The rise in 'stack it high, sell it cheap', style shops has led to companies being unable to afford the number of staff required to run a shop in the traditional style that we are all used to. I feel quite sad about this. Shopping just isn't the same anymore. There is very little time to feel valued as a consumer and it's hard not to feel rushed in your purchases. Sometimes, though, when it's a major purchase, or just something that is of significance for whatever reason, you need to spend some time and get some advice. That's when I go to a 'proper' shop. A British institution that knows how to do things the right way. My forays into the world of John Lewis are few. I am not a huge shopper anyway and our budget doesn't often allow for non-essential purchases, but I had won some vouchers, so thought I would pop in during the sales and see what was occuring. It may sound silly, but I really wanted a tea set. 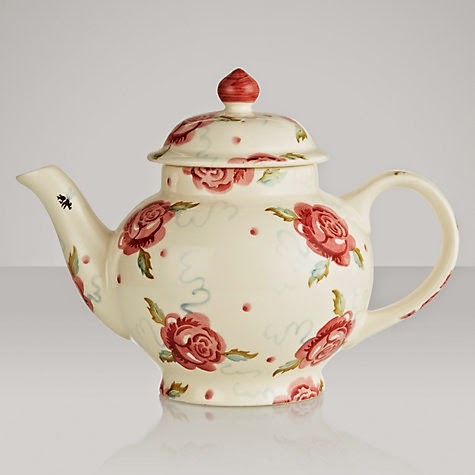 A proper, old fashioned, chintzy, Downton Abbey-style tea set. I love having high tea with my family, with a cake stand and sugar cubes and little sandwiches, because, you may not have noticed, but I'm just a little bit daft. None of our current efforts match, though, so that was going to be my treat. Sadly though, my shopping trip was not very successful. Firstly the shop was ridiculously hot. No one's fault, I guess, but you could have fried eggs on the escalator! I am not very decisive in life and, due to the time of year, it was hard to get the level of advice required for me to make an informed decision. In the end, I got fed up, as I have no patience and am not a good shopper and left. I felt a little aggrieved, as I did feel the staff could have made a bit more effort and the heat had really made it difficult for me to spend enough time in the shop to choose something properly. So, in keeping with my new stance on below-par service, I fired off a quick email. Not just because I was a little bit peeved at the wasted journey, but also because, I like to think it helps the company to know when things don't go so well, to give them an opportunity to, perhaps, adjust the thermostat, if nothing else. Another bug-bear of mine recently has been the new tradition of companies handling every complaint with a standard-issue evoucher. This bothers me, because it often doesn't solve the problem. Sometimes you want to know that your concern about a specific matter has been heard. It's not always about getting a freebie, sometimes it's about being listened to. So, I was interested to see how John Lewis would handle my email. It wasn't a serious complaint, more a series of suggestions really. I didn't have long to wait. The next day, I received a phone call from a member of staff who had been assigned to deal with my complaint. She genuinely could not have been nicer. She offered her apologies and invited me and my daft family for tea and cakes in the Cafe, to make up for our slightly rubbish experience. I was astounded at the effort they were prepared to go to, to put this minor discrepancy right. I instantly felt valued and appreciated. Like someone who mattered. As it happens, I haven't been able to go, as I have a problem with the discs in my back and I don't always travel very well. But that is most definitely not the point. The fact that they had clearly read my complaint very carefully, taking in all the detail about our daft Downton Abbey tea parties and my love of little cakes and sandwiches, meant the world to me, because that was what I wanted. I wanted someone to say, 'We know it wasn't right and this is how we should have done it'. So, John Lewis, if I don't make it to Cribbs Causeway to experience how you throw a Downton Abbey tea party, I would like to thank you most sincerely for restoring my faith in British shops. Let's hope many other retailers follow your sterling example. It costs nothing to smile and it costs nothing to listen and, in this age of austerity and corner-cutting, a lot of retailers could do well to remember that. Thank you! Maybe I should get a nice shopping bag too, lol?! I love going to John Lewis. The staff are always friendly and always happy to help. 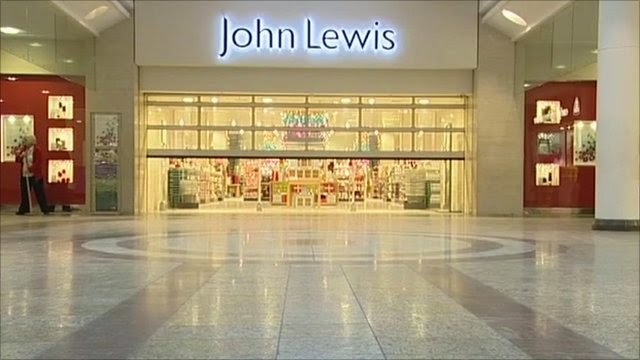 Other shops lacking in customer service should really look at how John Lewis do it. Maybe they should sell Customer Service lessons, they seem to sell everything else! I agree, I love that reassurance that they won't give you a hard time if there's a problem. I want a JL I'm my town! Funnily enough my experience has been that customer service has been better since we had the recession - it's as if the stores have realised that they want customers so have to look after them. Before 'service' seemed to be a dirty word.